This post is sponsored by Fashion Drug and may contain affiliate links. To buy Fashion Drug‘s Gucci-inspired Tiger Bag Mini for €74.95 (approximately $85 USD), click here. Don’t forget to use code “Aileen10” for 10% off all Fashion Drug goodies! Fashion Drug discontinued the Tiger Bag in December; however, you can get the same bag on Amazon for $129 here. Who else is seeing the Gucci trend snowball out of control this past season? With blush tones and floral print still trend-forward from spring, it’s no wonder why all the bloggers on high street are sporting Gucci. Gucci may be one of the designers of the moment, but of course, I just like many others can’t afford to spend a minimum of $1,700 for the Dionysus mini. 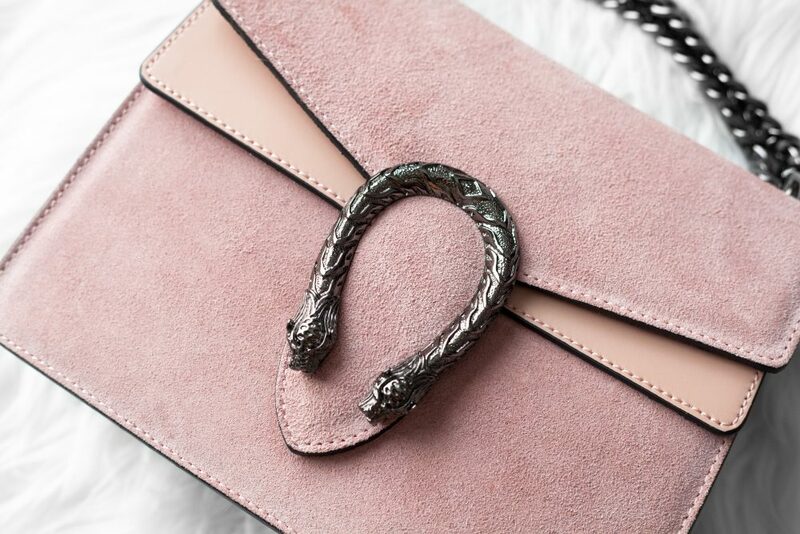 With variations like embroidery, leather upgrades, and even python, this little purse can swell up to prices well over $2,500. I recently reviewed one of Fashion Drug’s other Gucci-inspired handbags and since people were asking me for more reviews on their items, we decided to team up again to showcase one of their latest drops: the Tiger Bag mini. 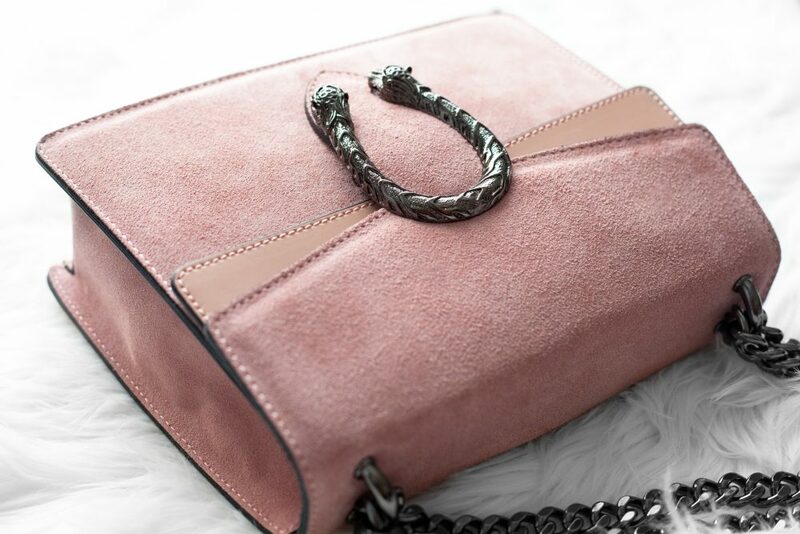 They just released this bag in several colors, and I was able to get both the brown and pink colors to review for you all! 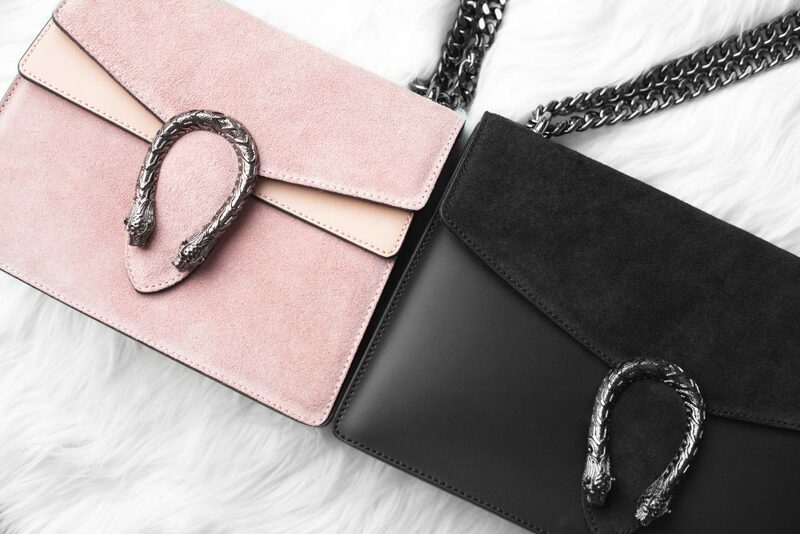 Fashion Drug‘s online boutique features tons of genuine Italian leather dupes of designer favorites like the Celine Luggage Tote, Givenchy’s Antigona, Chanel’s Boy Bag, and Valentino’s Lock Shoulder Bag. 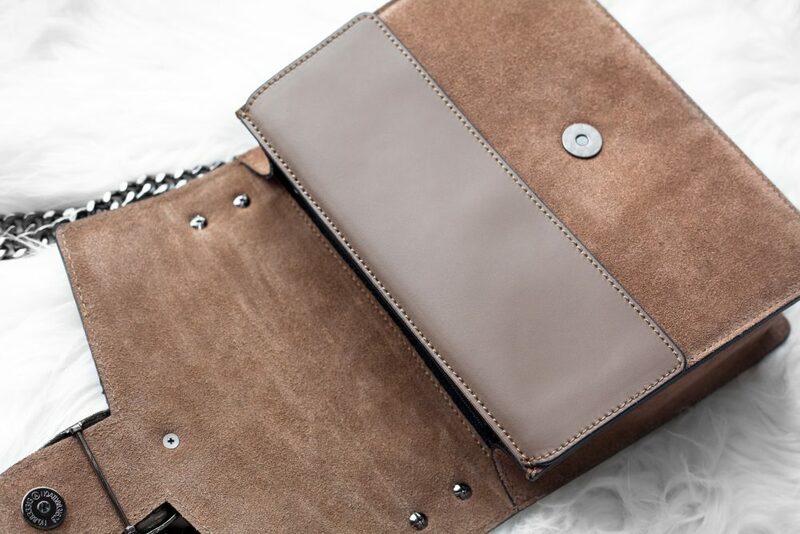 Even better, their handbags are made from genuine Italian leather and suede! All Fashion Drug handbags are €89.95 and under, which translates to roughly $105 USD or less for a quality handbag. 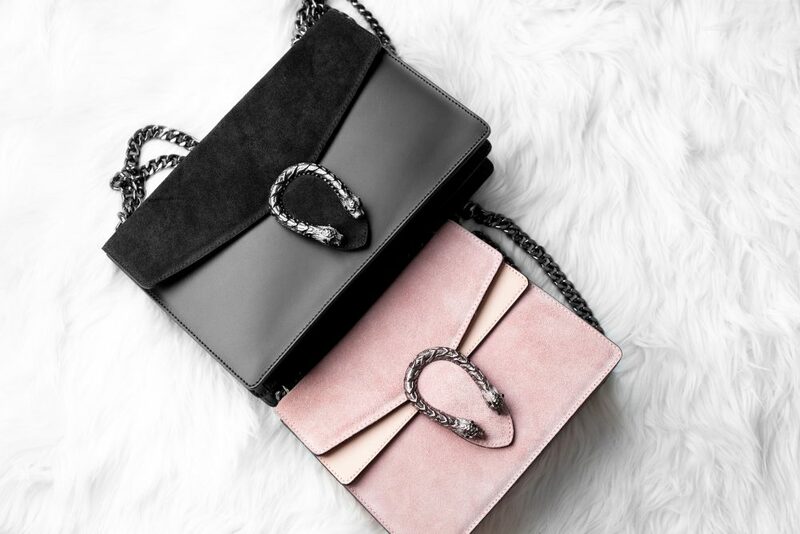 So if you’re looking for a ton of designer-inspired handbags for a fraction of the price, then there is no place better than Fashion Drug to fulfill your luxury craving. It gets even better, though: Fashion Drug also carries clothing, shoes and accessories, which upon closer inspection are all designer-inspired as well! They have so many gorgeous items like this Balenciaga-inspired blazer, Yeezy-inspired over-the-knee boots, and a dupe for Cartier’s Love bracelets. In comparison to the Gucci original, the shape of the handbag is just very slightly different, with the original featuring more rounded edges. I do prefer the overall shape of Fashion Drug’s Tiger bag more, although it really just boils down to preference. 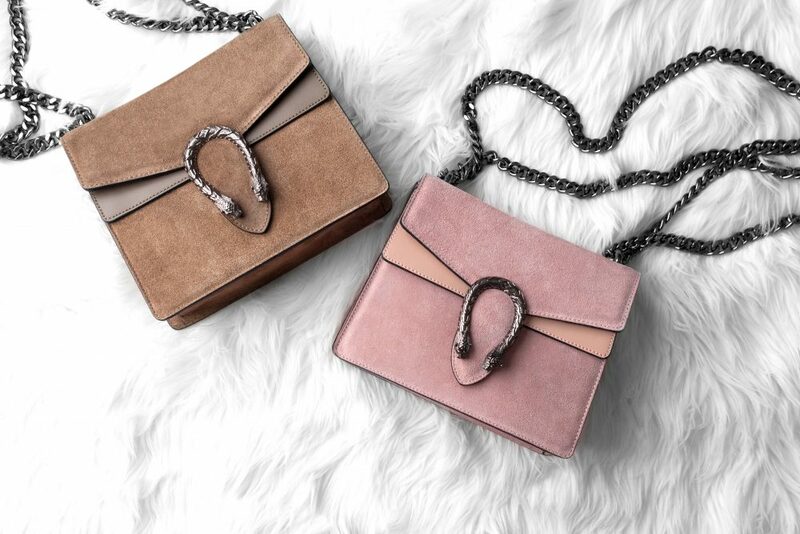 Hardware: This handbag sports well-weighted chains that function as either a shoulder bag or cross-body bag just like the original, making it a versatile and convertible staple in your wardrobe. The tiger head front buckle is surprisingly accurate to Gucci’s Dionysus, much to my surprise. 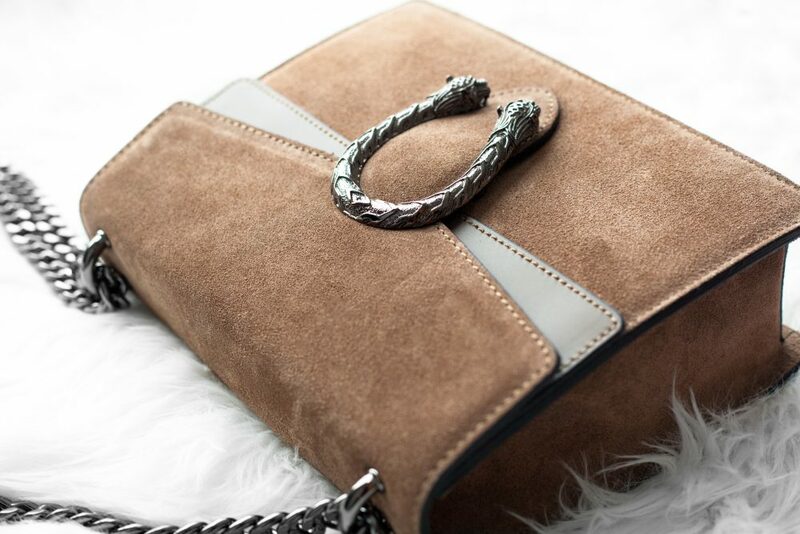 Leather and Suede: The suede on these handbags are phenomenal! The inner flap made of leather is actually buttery smooth, a trait that not many dupe bags have, even when constructed of real leather. Stitching: I haven’t seen a single stitch out of place on either bag, but then again, these bags mark the 3rd and 4th bags I’ve gotten from Fashion Drug, and I haven’t seen any undone stitching on any bags from them to date. The quality control of this brand is amazing! Interior pockets: The interior is lined with fabric and two interior pockets on the lining. 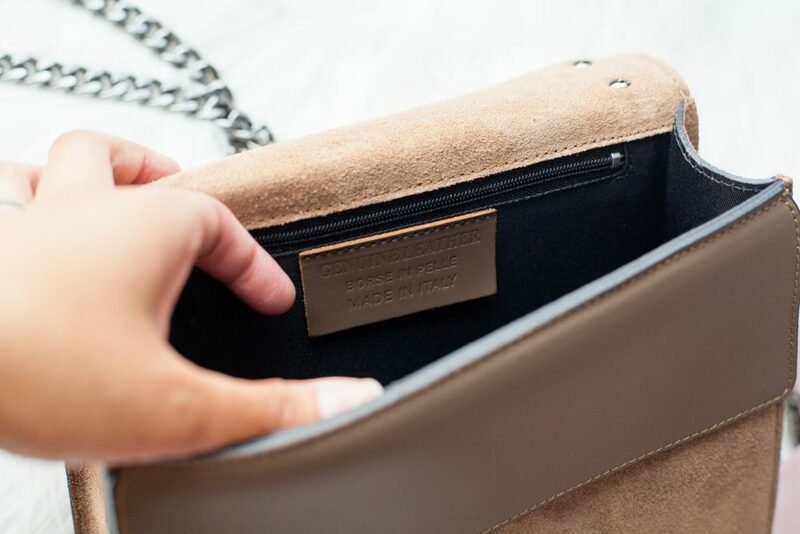 I actually prefer that the interior is cloth because it makes for easier cleaning in the event you have a spill caused by cosmetics or similar items (which happens to me a lot more than you think). The original Tiger bag is the standard size of a shoulder bag, whereas the mini version is roughly the same height, with less width. The mini is just about 1 centimeter shorter than the regular-sized bag, and roughly 2 inches less wide. 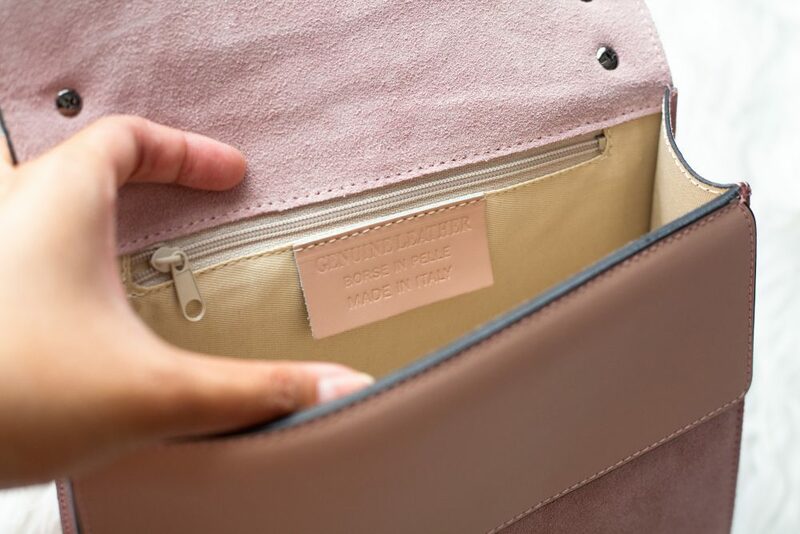 The mini also does not have a middle dividing zipper compartment like the regular-sized one has, nor does it have a zipper pocket on the outer back side. Despite this, the mini can still fit a lot more than it seems, as long as the objects are flat. 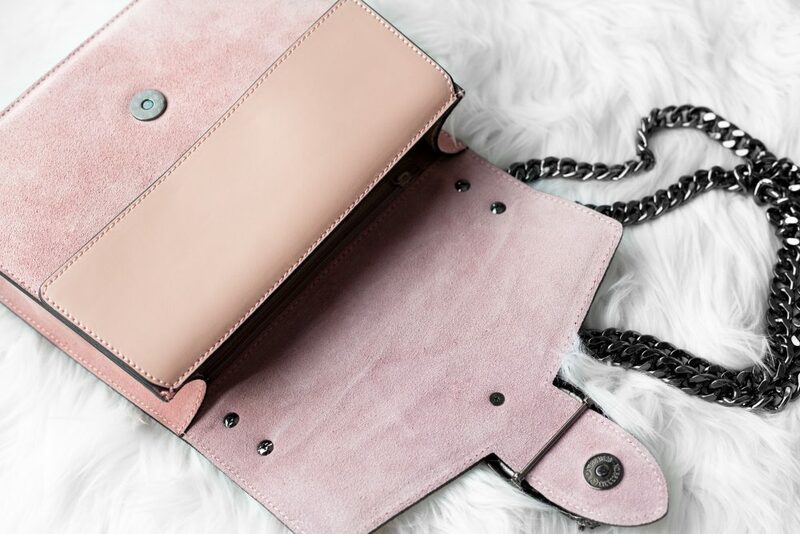 Despite the fact that Fashion Drug items ship from the Netherlands, I’m quite happy with the shipping speed – as soon as I received confirmation of shipment, the handbag was at my front door in less than 2 weeks. Pretty impressive for international shipping! Just remember, if your package gets stuck in customs it may take a few additional days before your packaged is released. Although their products do not ship from the US, Fashion Drug has worldwide shipping so their products are available to everyone. Fashion Drug’s Gucci-inspired Tiger Bag mini is available for €74.95 (approximately $85 USD) exclusively on their website and is available in brown, pink, black, and turquoise. Don’t forget to use code “Aileen10” for 10% off all Fashion Drug goodies! 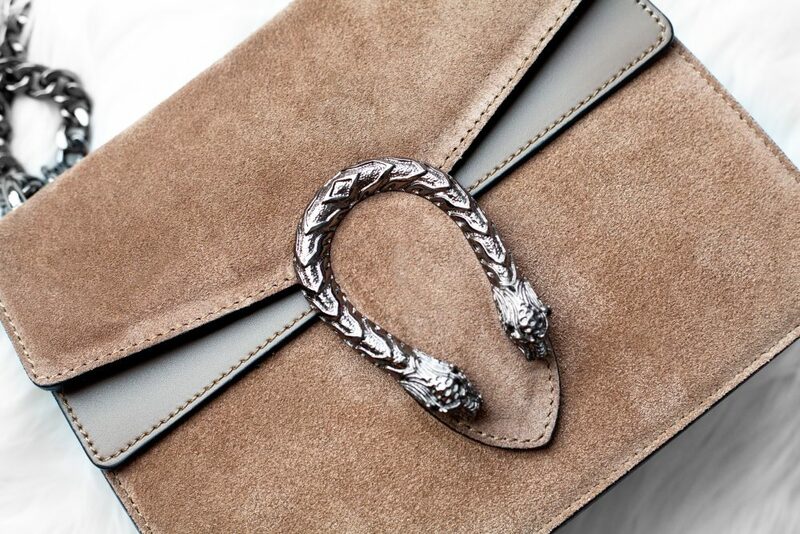 Want to read more reviews on Fashion Drug’s handbags? Let me know in the comments below and don’t forget to subscribe to my newsletter for more designer dupes delivered straight to your email. Items were provided by Fashion Drug for review purposes. Although this post is sponsored, all opinions are my own. I wanted to place an order but I don’t see where I can put your discount code? I don’t see it when I try to check out and pay..
Hi Sally! It should be in either Step 5 for Payment Information or Step 6 for Order Review. Let me know if that worked for you! 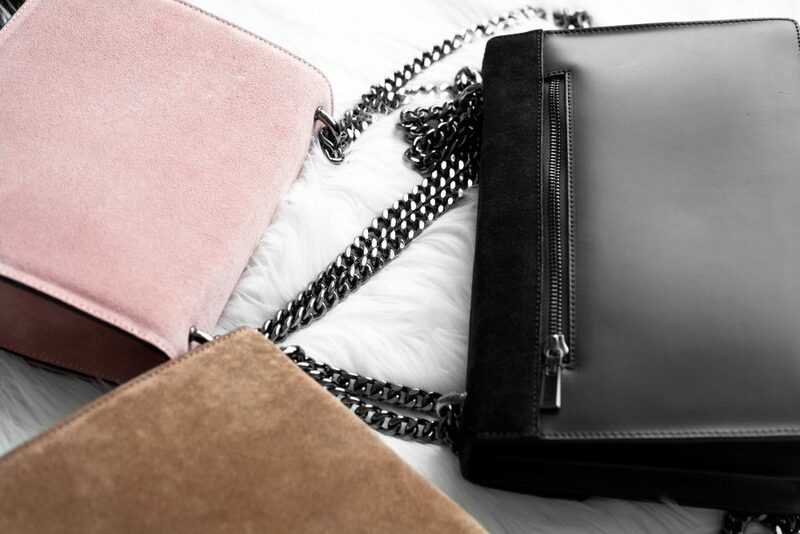 Love those bags ! They are so gorgeous and you can’t beat the price! Hi Aileen, thank you so much for all this priceless info. Where csn i get the Tiger bag please? The website page gives me an error message…. Hi Dona! I believe the Tiger Bag may be temporarily sold out and that’s why the link isn’t showing. Sit tight as they restock very quickly! Where can I find the pink one?!?! I’m in love!! Unfortunately the pink one was sold by Fashion Drug and is now discontinued 🙁 The only alternatives I was able to find were in the brown, tan and black colors.